Coauthored with Kyle L. Evanoff, research associate for International Institutions and Global Governance at the Council on Foreign Relations. A wave of rapid innovation has left these and other thinkers concerned about the transformative effects of today’s emerging technologies on society and world affairs. The promised benefits of breakthroughs in artificial intelligence, quantum computing, biotechnology, additive manufacturing, and other technologies are dazzling, almost beyond belief. But these advances carry immense risks too, and the twin penumbra of myopia and hype cloud our foresight, limiting the vision we need to take informed actions and ensure positive outcomes. Despite these uncertainties, we cannot afford to remain passive observers. New technologies portend pressing policy dilemmas, and the decisions we take—or fail to take—today may lock us into trajectories that we cannot correct tomorrow. To mitigate risks, national governments and non-state actors must adopt a global perspective and pursue international cooperation. After all, innovation is too transnational an enterprise, information too indifferent to borders, and civilization too interconnected for purely national solutions. With this reality in mind, UN Secretary-General Antonio Gutteres has named the governance of emerging technologies as one of his top five priorities for 2019. While such innovations “can turbocharge” peacemaking and sustainable development, he warns that they “are also outpacing our capacity to reckon with their profound impacts." In a similar vein, we at the Internationalist will consider over the next several months how emerging technologies are transforming world politics and explore how global governance reforms might help us navigate the murky waters ahead. Let’s begin with a brief definition. According to one group of academics, an emerging technology is a radically novel, rapidly growing innovation that upends previous knowledge and promises to alter interactions among actors and institutions in important socioeconomic spheres. Such innovations have inherently uncertain implications, and this haziness makes it easy to over (and under) hype them at various stages in their development. Nevertheless, emerging technologies pose recurrent quandaries for policymakers. Among the trickiest is how to spur beneficial innovation and application while curbing harmful developments. Granting too much freedom to innovators or misallocating venture capital can exacerbate risks, while adopting heavy-handed regulations—assuming meaningful regulation is even possible—risks killing the proverbial golden goose. Governments must also make (or defer) decisions in situations of radical uncertainty—and be prepared to adjust those rules as the impacts of innovation become more apparent and circumstances change. Compounding difficulties, governmental bodies often lack adequate resources and expertise to come to grips with new technologies. Overall, the blistering pace of breakthroughs has left domestic regulation—to say nothing of global governance—in the dust. Finally, there are the dilemmas of collective action in a world of independent, and competitive, sovereign states. On the one hand, national governments have a shared interest in cooperating to mitigate the risks of innovations, as well as limiting the fallout from regulatory arbitrage, which allows private actors to exploit lax standards or enforcement in certain jurisdictions. On the other hand, governments are competing hard to dominate these frontier technologies, most notably in the incipient and much hyped AI competition between the United States and China. Future installments in this blog series will analyze the transformative implications of distinctive emerging technologies—as well as potential convergence and interactions—for global governance. Each post will briefly describe a category of innovation, survey its potential benefits and risks, and suggest multilateral pathways that might advance international standards and rules. Where relevant, we will highlight lessons from history, including strategies for engaging private sector actors in self-policing/regulation. We undertake this with some humility, aware that many of our assessments, predictions, and proposals will be underdeveloped or incorrect, given inherent uncertainty about how this fast-changing technological landscape will evolve—and interact with existing human institutions. Artificial Intelligence (AI). Scientists and inventors have long attempted to endow machines with human faculties, with limited success. Recent software and hardware innovations (as well as the availability of immense troves of data) have eroded past constraints and expanded the sphere of automatable functions. Only yesterday, DeepMind announced that its AlphaStar system had trounced professional players at the electronic sports game Starcraft II, a longstanding "grand challenge" for AI research due to its complexity. Although AI is still in its relative infancy—the relevant technologies tend to be brittle, and have narrow applications—the field’s societal effects are already tremendous. Driverless vehicles, deep fakes (high-fidelity visual and auditory simulacra), and high-frequency trading algorithms suggest a vast range of applications. The world is only beginning to grapple with AI’s implications for global security, employment, human rights, and other fundamental issues. Quantum Computing. Mathematical proofs have shown that quantum computers, which take advantage of quantum mechanical phenomena to solve complex problems, can outperform classical computers (no matter how advanced) in at least some domains. With these systems becoming more powerful and rudimentary quantum computers now available for online use, a boom in research and application is in the making and likely to spur scientific discovery. On the other hand, quantum decryption could compromise traditional cybersecurity on a massive scale. Unsurprisingly, states are emphasizing quantum computing research and development as a strategic imperative. Space Technologies. Activity in outer space has surged, thanks in part to advances in technologies such as reusable rockets and microsatellites. Dramatically lower upfront costs are democratizing space, lowering barriers to entry in a domain once restricted to leading powers. The nascent scramble for space raises the enticing possibility of a multiplanetary civilization but also presents major challenges for space traffic management, debris mitigation, arms control, commercial exploitation, and other areas. Nanotechnology. 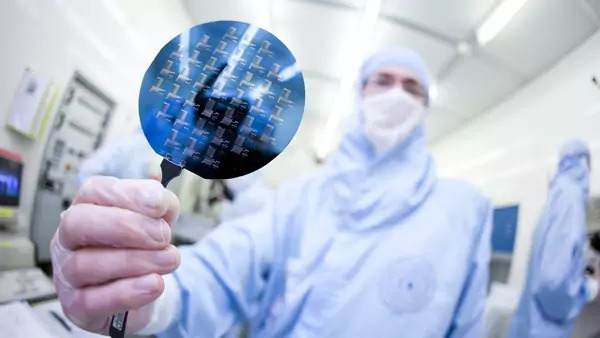 Scientists continue to make significant strides in nanotechnology, which involves the manipulation of materials at an atomic, molecular, and supramolecular scale. By working at this miniscule scale, engineers are able to create entirely new materials, some capable of self-assembly, including useful devices with applications in the fields of medicine, energy production, and consumer goods, among others. At the same time, legitimate concerns exist about the impact of nanomaterials on human and environmental health. Distributed Ledger Technology: This denotes a decentralized system for recording and verifying transactions, based on the synchronized, replicated sharing of digital data among disparate actors. The premier example, blockchain, permits all parties in the network to verify contracts and payments. Distributed ledgers have enormous potential to facilitate cooperation where trust has previously been lacking, ranging from verifying compliance with nuclear nonproliferation commitments to ensuring the integrity of global supply chains. At the same time, the absence of a centralized intermediary poses challenges to sovereign state authority, not least in the area of financial transactions. Internet of Things (IoT): Increasingly, devices—from cars to appliances to apparel—are linked to digital networks, allowing them to communicate with one another and generate massive amounts of useful data. While this connectivity is largely positive, it also creates vulnerabilities, among these a loss of individual privacy, greater exposure to cybercrime, and expanded security threats. Such considerations, as well as more straightforward economic motives, help explain the intense international competition to dominate 5G, or the fifth generation of wireless technology, which promises to catalyze growth of the IoT. Additive Manufacturing (AM). Popularly known as “3D printing,” additive manufacturing is the use of computer equipment to create three-dimensional objects through the successive layering of substances, such as polymers and metals, according to digital specifications. Its advantages include precision, efficiency, and flexibility. According to its champions, AM has the potential to launch a new industrial revolution, with ecological as well as economic benefits. At the same time, it promises to disrupt global supply and value chains, as well as traditional development models. Biotechnology: The recent application of CRISPR/Cas9 to gene editing has spurred a revolution in the field, with vast implications for personalized medicine, as well as the creation of gene drives that can affect the distribution of genes within a natural population. In parallel, advances in synthetic biology are permitting scientists to design artificial biological systems and create entirely novel forms of life. While these trends have great therapeutic and public health promise, they could also undermine biosafety and biosecurity, whether through negligence or malevolence—including by placing deadly capacities in the hands of state or nonstate actors. Human Enhancement. This phrase refers to the application of technology to the human physiology to overcome normal limitations. Examples include augmenting the body with cybernetic systems, including brain-computer interfaces and exoskeletons; developing more sophisticated nootropics, so-called “smart drugs” that improve cognitive capabilities; and expanding gene editing technologies to extend lifespans and alter the human germ line. Lethal Autonomous Weapons Systems: We are at the leading edge of a revolution in warfare, as the United States and other nations develop and begin to deploy sophisticated drones, so-called killer robots, and swarm technologies. These innovations provide warfighters with greater flexibility, as well as asymmetric capabilities. But the diffusion of autonomous, lethal technologies (including to non-state groups) could threaten international stability and violate international humanitarian law and the laws of war. This list of breakthrough technologies is hardly exhaustive. It could easily expand to encompass other emerging innovations, from hypersonic missiles to hyperloops, from supersonic commercial planes to fusion power, from advanced energy storage to geoengineering. Although each of these areas of technology has its own peculiarities, all have the potential to transform world politics. As it has throughout history, innovation will drive demands for new norms and legal rules, at the global and domestic level. The difficulty for policymakers lies in thinking clearly about the dilemmas of innovation, and about the opportunities and obstacles for more effective global governance of transformative technologies. We hope that this series will help them do so.